A few months ago, Sreenivasulu.M.R, a software professional in Bangalore, India, emailed me out of the blue to let me know about his project building intricate miniatures of world-renowned architecture out of used plastic pen refills. These days, a lot of my emails go unanswered and even unread because my time is consumed with caring for my dad. But for some reason, this one intrigued me enough to click the links in it. And wow, was I glad I did! Sreenivasulu’s pieces are amazing. And he’s using them to educate students about plastic reduction and recycling. You can view more of Sreenivasulu’s creations here and here, and through his Facebook pages here and here. I wanted to know more about this young software professional turned artist, so I suggested we use Google Hangouts to chat online. He was just as charming in person as his works of art. Sreenivasulu said that he had originally wanted to become an architect but became a software engineer instead. He loved to make models from cardboard and other scrap materials, and one day, he wrote on a piece of paper, “I can be a good architect.” He looked at the pen in his hand and realized it too could be a building material. As part of the program, we educate the students on the hazardous effects of plastic waste and encourage people on the 3R principle – Reduce, Reuse and Recycle. As an example of how I have followed the 3R principle, I showcase the miniatures of structures to tickle the creative side of students. We have received a good reception from everyone, and the boxes we set up for collecting used pen refills is a success story. Looking at those statistics, it’s clear that this project doesn’t come close to solving the problem of plastic pen waste, and plastic pen waste is only a small fraction of the overall plastic problem. But that’s not the point. 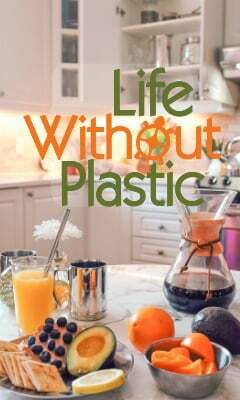 The idea is to educate and inspire others to find creative ways to reduce their own plastic waste and to look for innovative ways to reuse and recycle what’s left. I personally was left feeling optimistic and inspired by Sreenivasulu’s enthusiasm. How about you? It's the Burning Man Plastic Footprint Project! Do I Look Good in Plastic?